Samsung Galaxy J1(2016) Specs and Price: Samsung Galaxy J1 (2016) is an upgraded version and a successor to the Samsung Galaxy J1 ( 2015). For the past few weeks, this device has been in rumors, leaks and was recently launched in Dubai. As revealed by leaks, the Samsung Galaxy J1 (2016) has specifications that are slightly better than that of the Samsung Galaxy J1 (2015). The new features on this smartphone has made it an enhanced device that has the capability of providing a better user experience. This android device from Samsung still retains the budget friendly nature of its predecessor, which gives it an economical price tag and places it within the category of low-end android smartphones. As an upgrade of the first smartphone in the J range, the Samsung Galaxy J1 (2016) has a powerful quad-core processor, an increased RAM size, a larger internal storage, enhanced cameras and a new operating system. This has set the pace for other low-end devices from different manufacturers of smartphones in the world. With devices like the Samsung Galaxy J1(2016), the South Korean Samsung has once again proven to be among the tech giants in the smartphone market. For the display, the Samsung Galaxy J1(2016) features a 4.5-inch diagonal touch screen with a resolution of 480×800 pixels. This gives it superior viewing angles and a better contrast. Having a pixel density of about 245 pixels per inch on the display screen, one should not expect pictures and videos with high quality from this device. The build of this phone makes it easy to hold, slide into your pocket and carry around. The Samsung Galaxy J1 (2016) utilizes a 1.3 GHz quad-core Exynos 3475 processor, runs on Android 5.1.1 lollipop operating system, has a RAM size of 1GB, an internal memory of 8GB that can be expanded up to 128GB via a microSD card. Instead of a dual-core processor running at 1.2 GHz processor as found in its predecessor, a quad-core processor in this upgraded device makes it perform operations faster. One should expect enhanced operations like: Apps and games can be opened in fewer seconds, click responds are speedier and the ability to run a wider variety of programs and apps. Also, with a RAM size of 1GB,you can be sure of running multiple apps and games at the same time without experiencing any lags on this device. The Samsung Galaxy J1(2016) just like its predecessor has a 5 megapixel back camera with auto focus and led flash, and a 2 megapixel front camera for lovers of selfies. Other features of the camera that allows you to capture that perfect moment with greater ease include face dectection, geotagging, and touch focus. The removable battery on the Samsung Galaxy J1 has a capacity of 2050mAh. For connectivity, the Galaxy J1 (2016) supports micro dual-SIM with dual standby functionality. Connectivity options include Wi-Fi, GPS, Bluetooth 4.0 with A2DP, microUSB 2.0, and Wi-Fi 802.11 b/g/n with Wi-Fi Direct and hotspot. Sensors on the phone include proximity sensor and accelerometer. The Samsung Galaxy J1(2016) is already available at retail stores in Dubai. 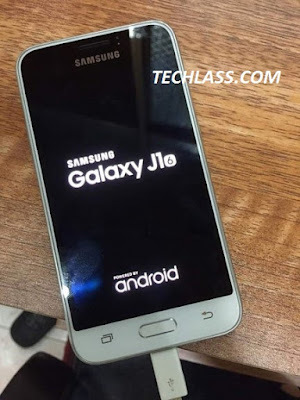 In Nigeria, the Samsung Galaxy J1(2016) is not yet available. One can purchase it at online stores in Nigeria when it is available. This smartphone is expected to come in atleast three colour options which are black, white, and gold. The price of Samsung Galaxy J1 (2016) in Nigeria is not yet confirmed but has been estimated to range from ₦26,000 to ₦35,000.